Take the A14 towards Felixstowe. Approximately 15 miles before Felixstowe is the village of Claydon, the junction after the A140. 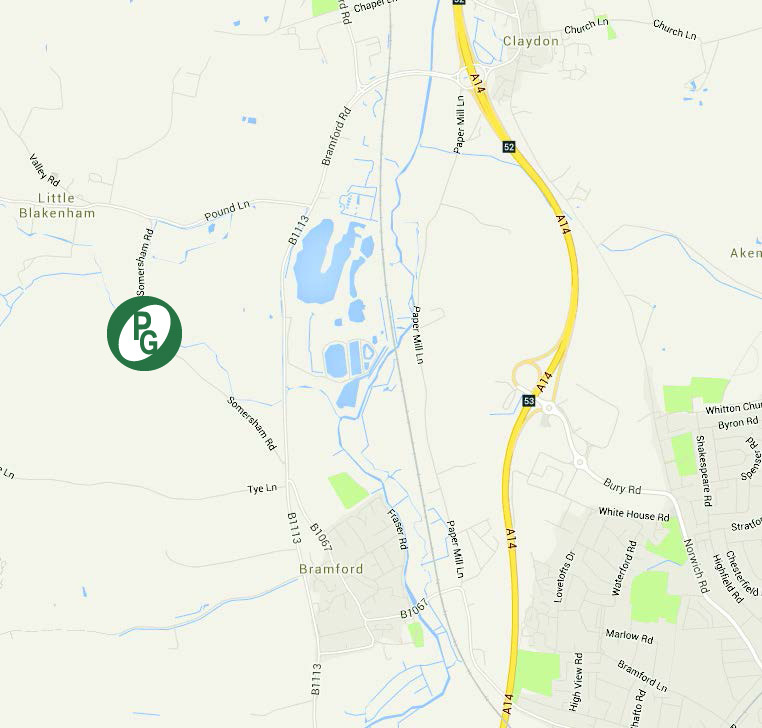 Take the Claydon exit (B1113) of the A14 and take the 4th exit of the roundabout onto the B1113 to Bramford. Follow this road for approx 2 miles, passing a lake on your left, take the next right onto Somersham Road. Continue along the Somersham Road, we are approximately 0.5 miles, on the right-hand side. Heading east on the A12 until you reach the A12 / A14 interchange (Copdock roundabout). Keeping in the left hand lane, take the A14 towards Bury St Edmunds. Leave the A14 at the 3rd exit, signposted Claydon, following signs for the B1113, take the 2nd exit of the slip road, towards Bramford. Follow this road for approx 2 miles, passing a lake on your left, take the next right onto Somersham Road. Continue along the Somersham Road, we are approximately 0.5 miles, on the right-hand side. If you wish to request a quotation or send us and enquiry, please click the button below.